Ethnic by Outfitters fall winter collection 2012-13 was revealed today. It consists of stylish two piece outfits and just shirts. 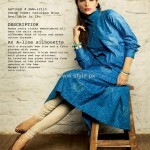 Mostly, you will see shirts and churidaars in Ethnic by Outfitters fall winter collection 2012-13. Various styles, cuts and silhouettes can be seen in this collection. The churidaars are mostly plain but some are printed also. As far as the shirts are concerned, they are embroidered. The stylish dresses belonging to Ethnic by Outfitters fall winter collection 2012-13 will seem appropriate for young women. Most of the outfits in this collection are casuals but party dresses are also available. Ethnic by Outfitters is a brand providing traditional Pakistani clothing for women in the country. It belongs to the same company that owns Outfitters. The brand was launched last year and within a year, it has grown into a popular brand of the country. 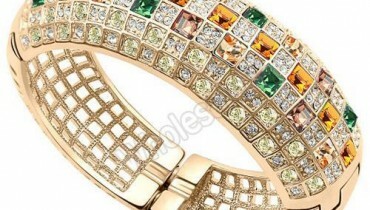 This is partly due to its nice dresses and partly due to its affiliation with a successful brand. It has released quite a few collections since its establishment. The last collection that it released was its pre-fall collection 2012. Ethnic by Outfitters has its outlets in a few cities of Pakistan. You can see a few of the dresses in Ethnic by Outfitters fall winter collection 2012-13 below. For seeing all the dresses in Ethnic by Outfitters fall winter collection 2012-13 you will need to go to one of the stores of this brand. For further details about the brand and for interacting with its team, you should visit its Facebook page. If you need to know the address, see below. It is given there. 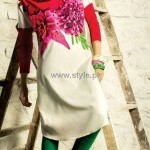 You can also view some of the dresses by Ethnic by Outfitters here on Style.pk. 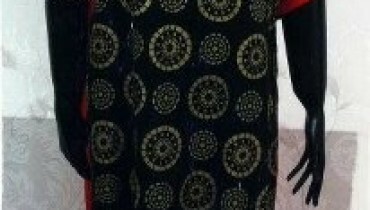 Some dresses from the past collection of the brand have been shown here.